Tyler, Erica, Destinee, Trey and Cole visit with their grandparents in 3 different cities. In each place their Grandfather asks them to discover the treasure of the town. As they sight-see and learn about the history of the towns, they discover the treasure. 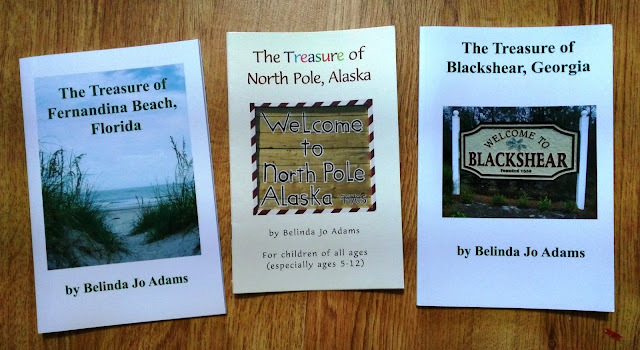 Each book can be a children's book or a souvenir book of the town! Perfect as a keepsake of a trip there, if you visit the locations!